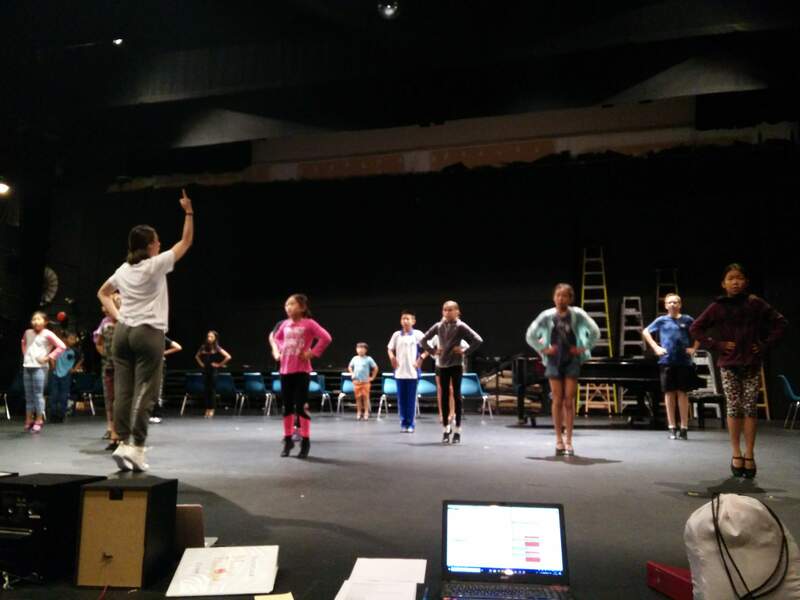 Every year, our Gateway Academy's MainStage Musical Theatre Camp offers 8-13 year olds the opportunity to perform a fully-staged musical on our MainStage. 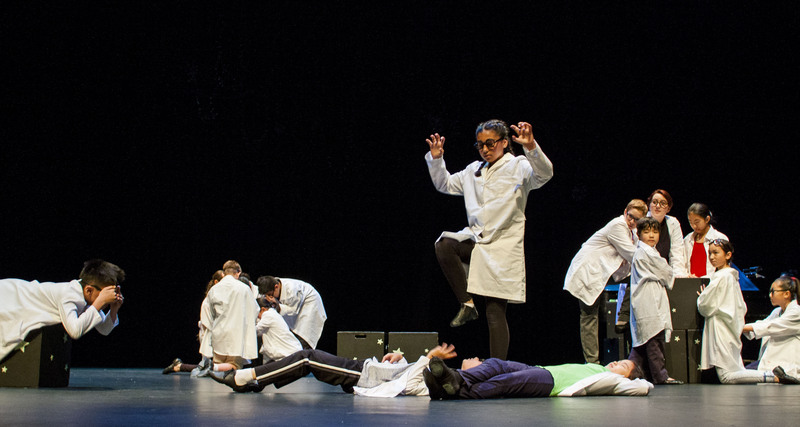 This year, we commissioned local playwright, Julie Casselman, to write a musical specifically for us and, with input from the students, BLAST OFF! 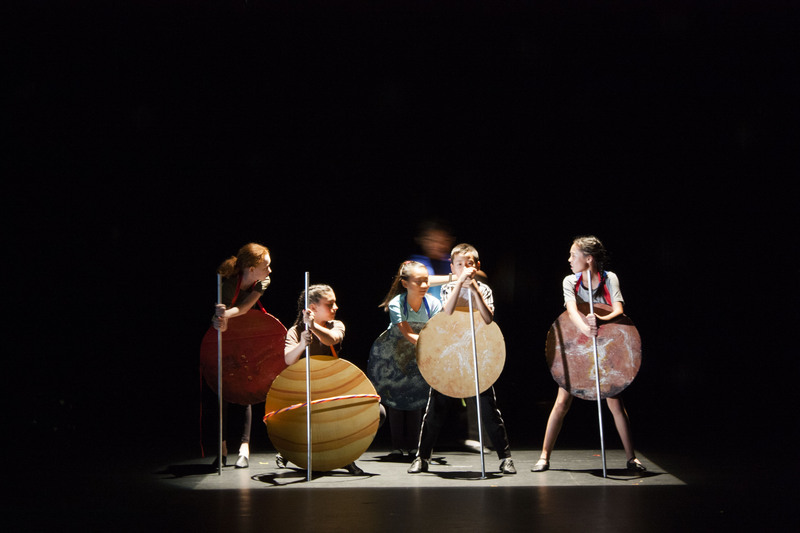 A Musical About Going to the Future and Back was created. These young artists had only ONE MONTH to learn acting, dancing, vocals skills AND memorize all choreography and song lyrics! We had a lot of new participants in this year's camp and their learning curve has been steep but under the direction of our professional artist educators, Christina Cuglietta, Abbey Dutton, and John Jack Paterson, the students worked hard and pulled through. 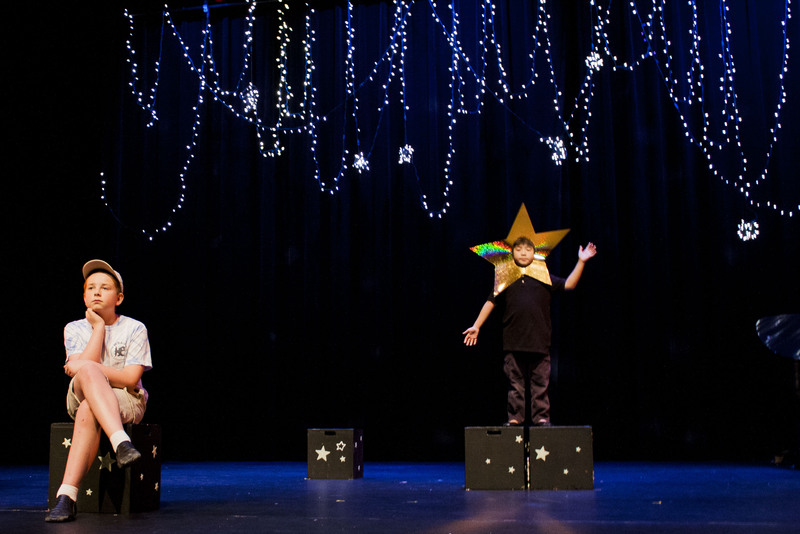 In late July, these young artists performed their hearts out in front of an audience (twice!) on our MainStage. It's was so rewarding to not only see just how much they have learned but also the bonds they have created with each other. Check out their journey in the photos below! Registrations will open again in due time for next year's camp but if you want your child to get a head start in their training, we offer year-long classes. Instuctor/Choreographer Abbey Dutton warming up with the students. 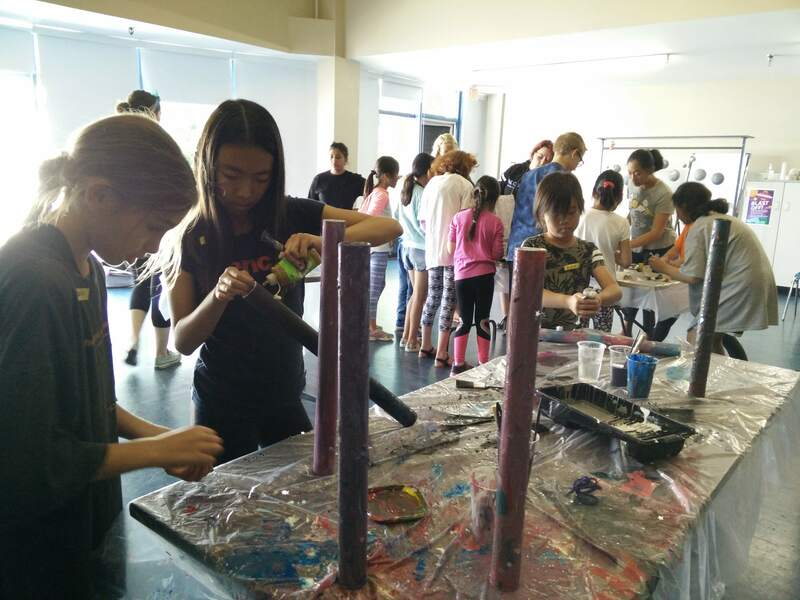 Taking a break from rehearsal, students rolled up their sleeves and got their hands dirty to make props for the show. 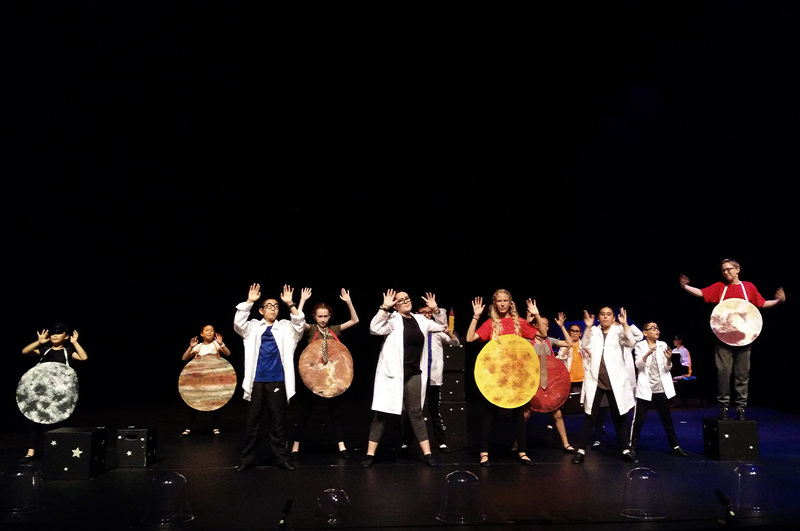 Cast of "Blast Off! 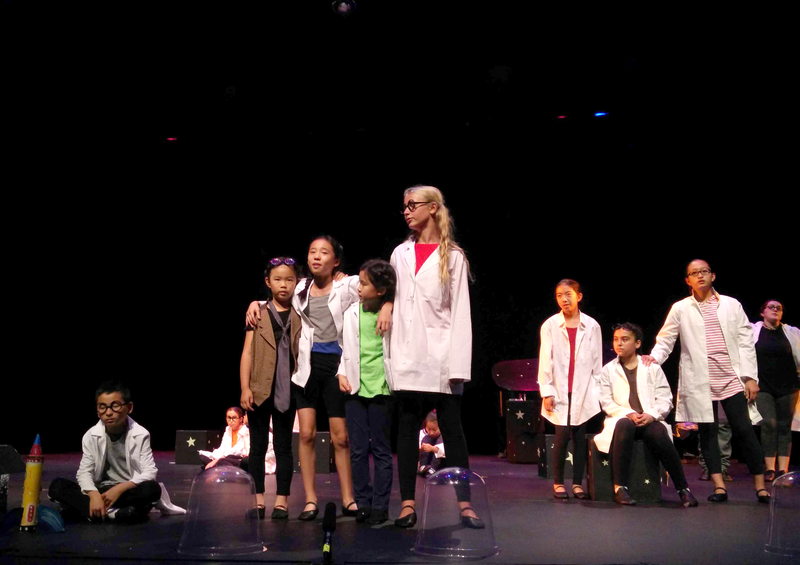 A Musical About Going to the Future and Back"